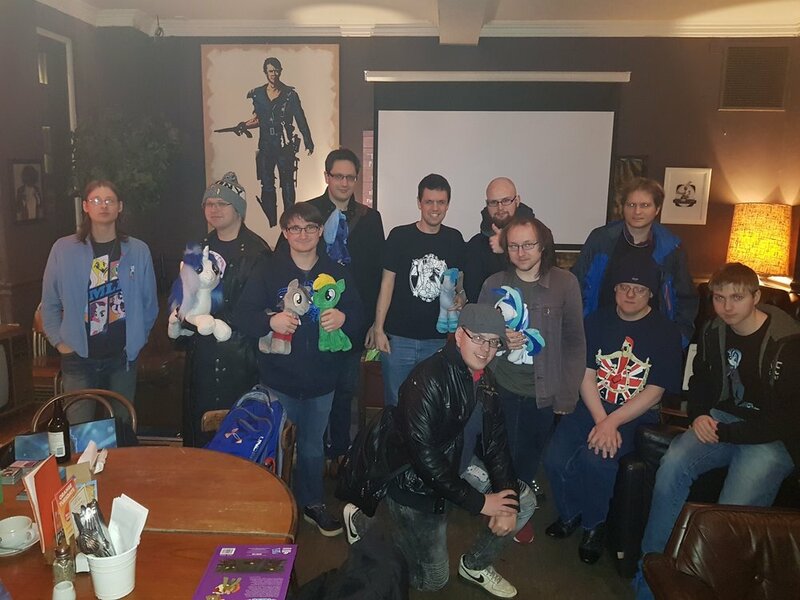 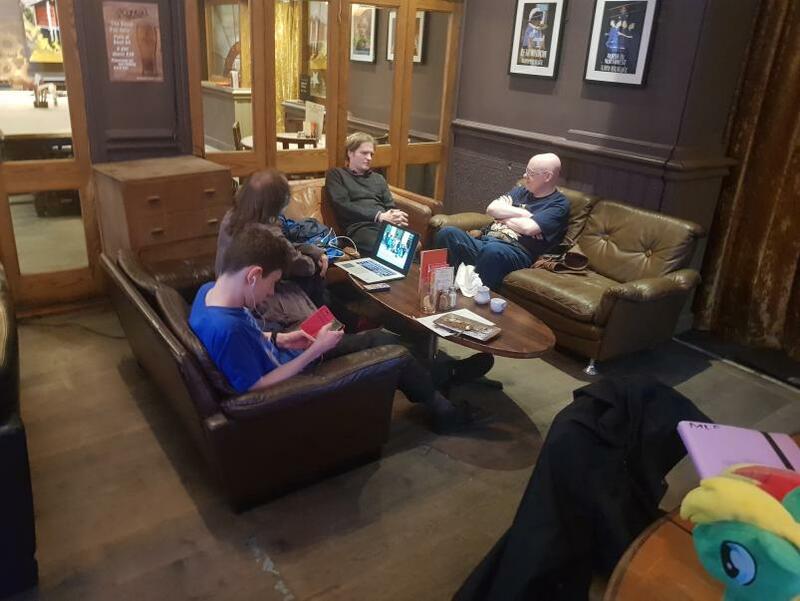 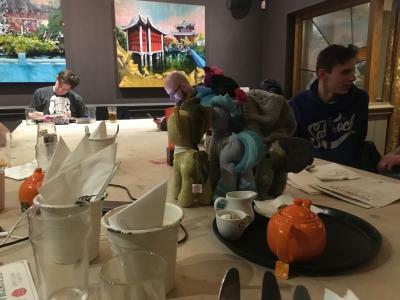 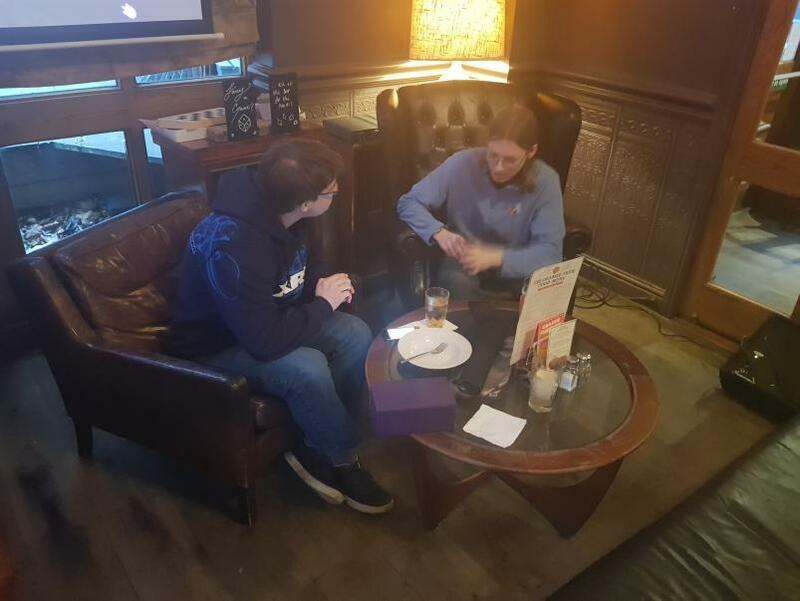 The June 10th meet-up was another great success for the Trottingham Bronies group, with 16 people in attendance, the number of people joining us at [ALT] was above average. 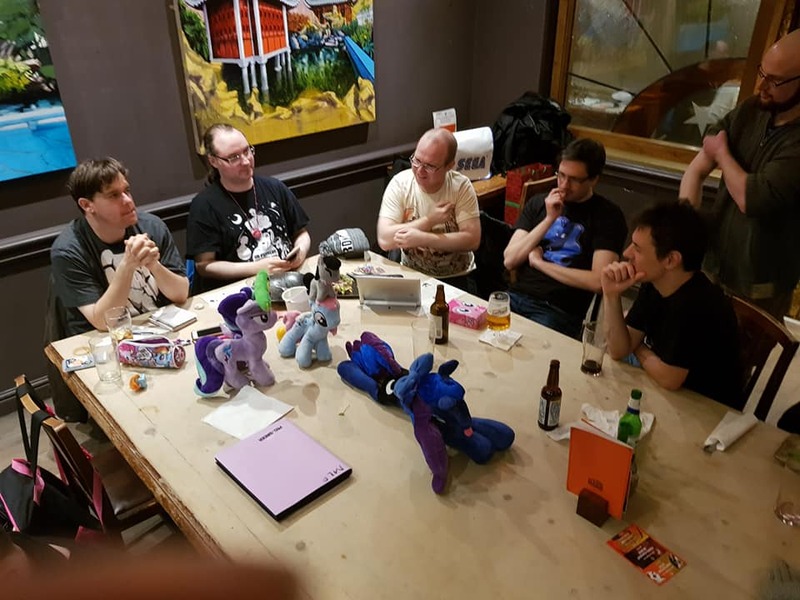 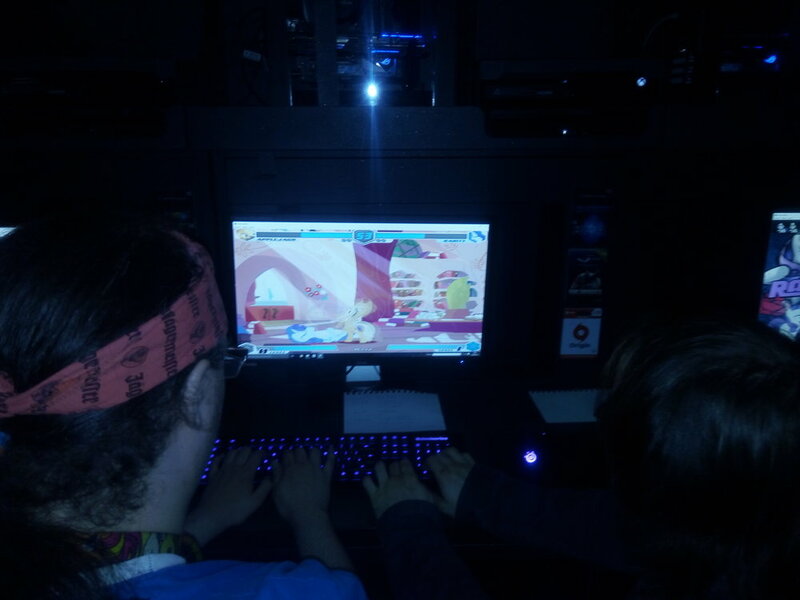 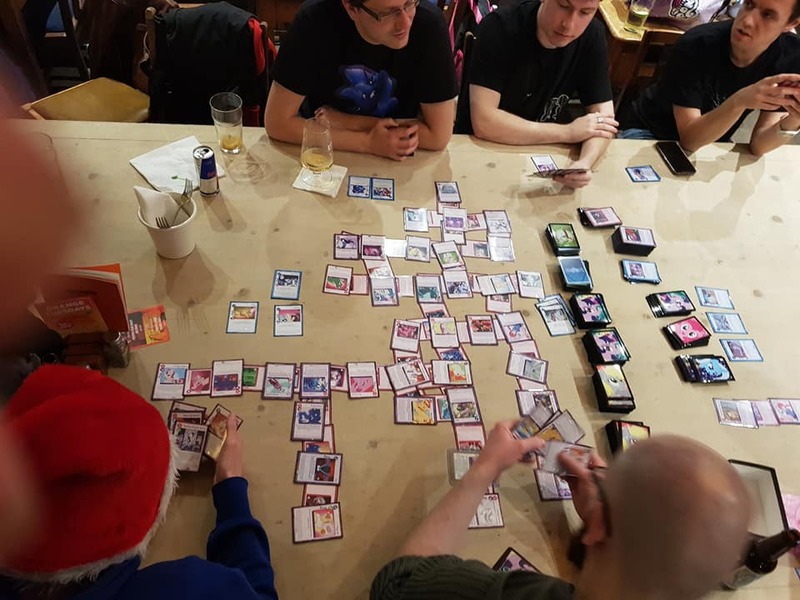 Not only was the meet-up good in terms of attendees, but it was also the first time that the organisation team in the Trottinghamshire Bronies community tried their hand at organising a gaming tournament for the fan-made My Little Pony game: Fighting is Magic. 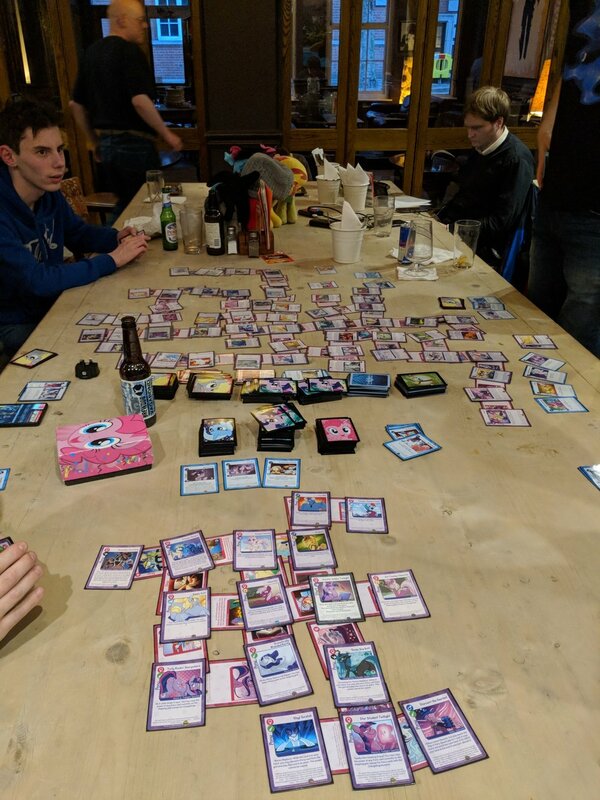 With the help of [ALT], who offered a generous discount on the rental of the computer stations for the day, we managed to pull off a fully fledged tournament with 8 entrants and 7 rounds of 4 bouts. 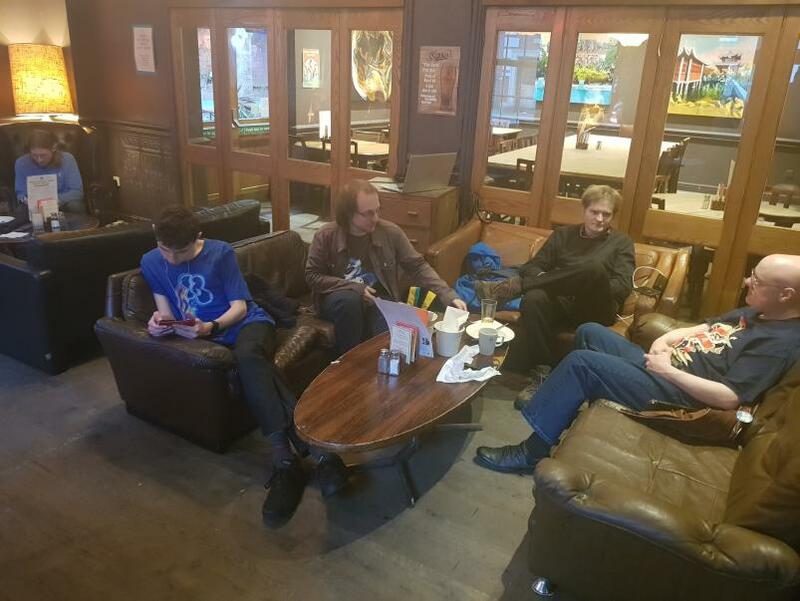 While the beginning of the day was a bit rocky for organisation, as we didn't really have any idea how many people would be entering the tournament, and this being our first time at this sort of thing, we did have to pull in some help from the [ALT] staff to set something up so that everyone would fight against everyone. 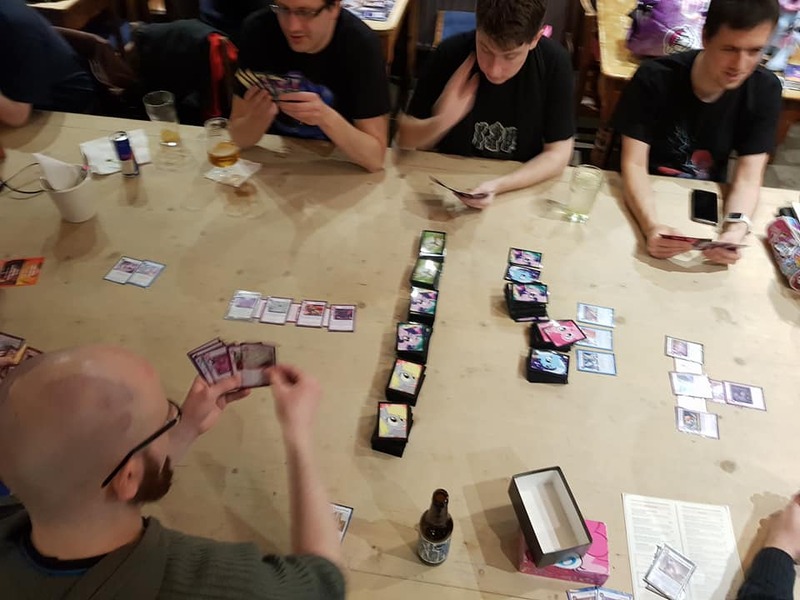 In future, we will want to look at having people enter the tournament before the day, just to ensure we can focus on managing the layout of the matches. 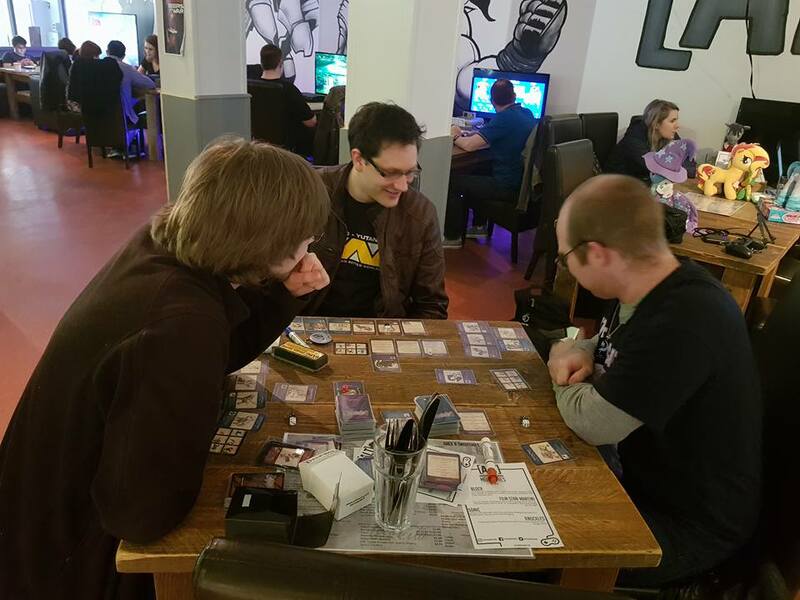 Despite this, we are very pleased with how it went and hope to keep on the good side of [ALT] so that we can continue doing things like this in the future. 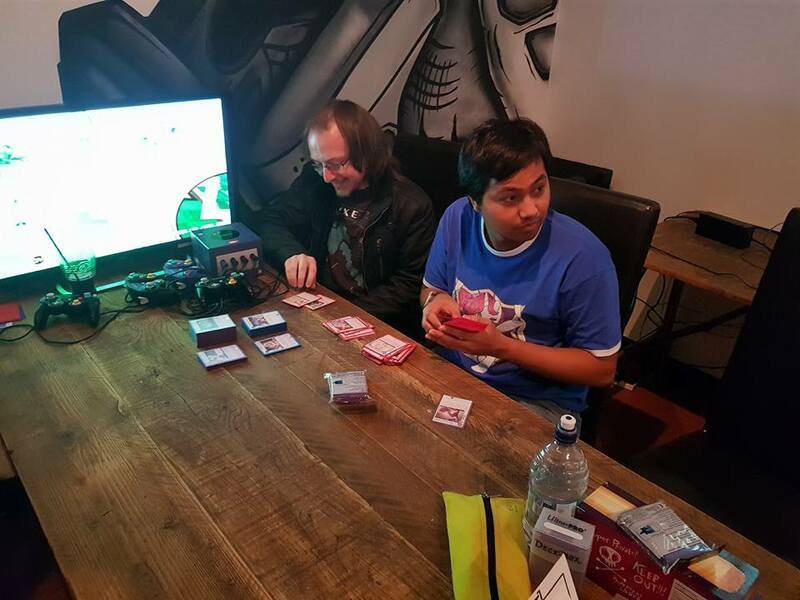 A special congratulations to Sean Leedell for winning our tournament in a flawless 7 round win streak! 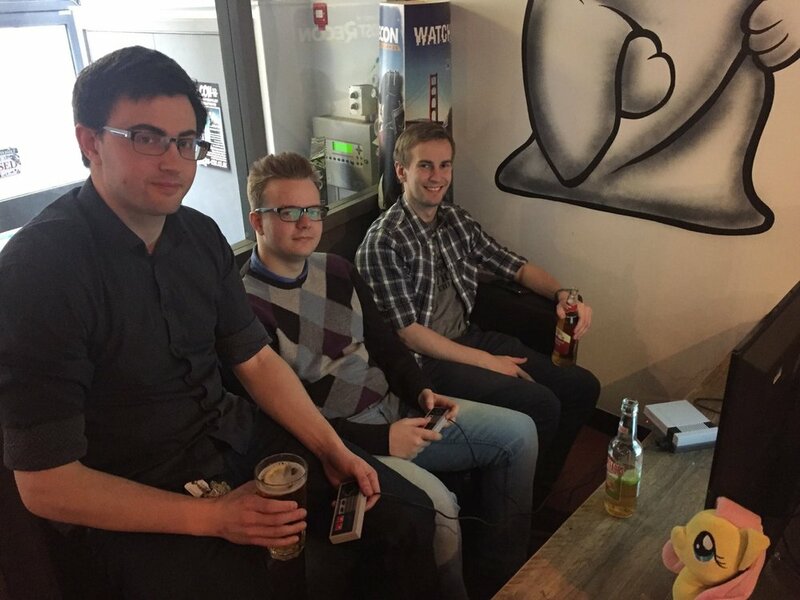 After the Tournament had drawn to a close, the winner announced and all of the computers closed down, we retreated back to the main area of the lounge to engage in conversation, card games, video games and most importantly: Food and drink! 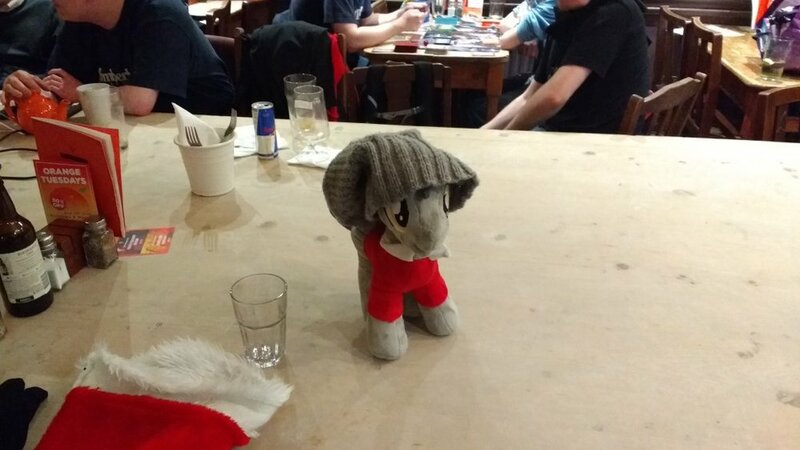 It was at this point that the meet was beginning to wind down. 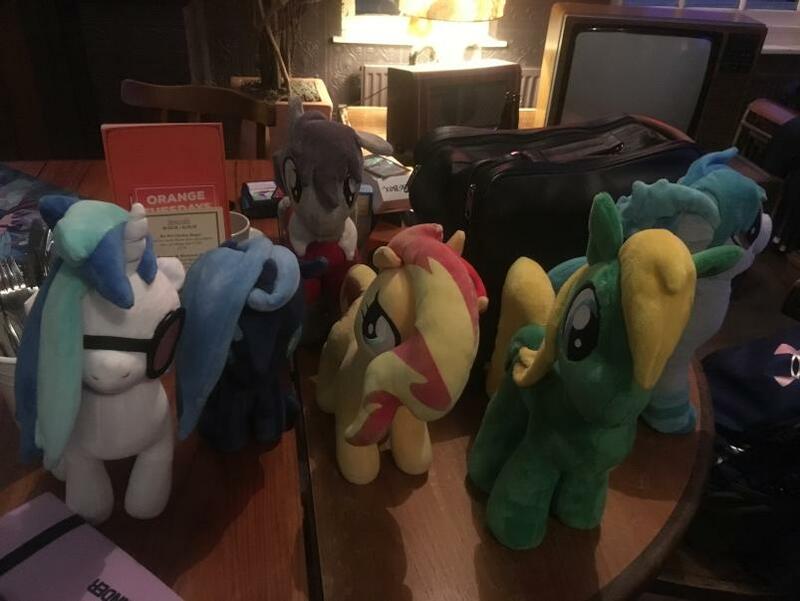 We spent a couple more hours talking and playing together before finally deciding to call the meet to a close and take the usual group photo before we all went our separate ways for another month. 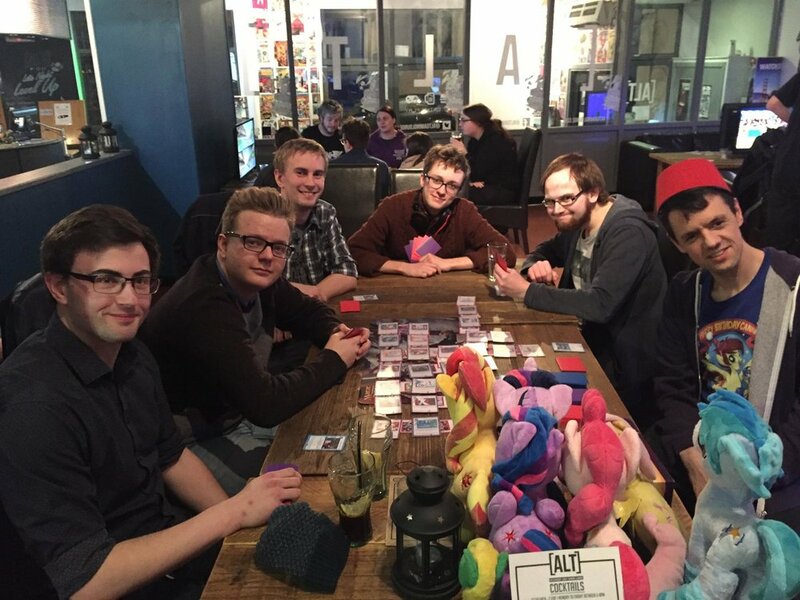 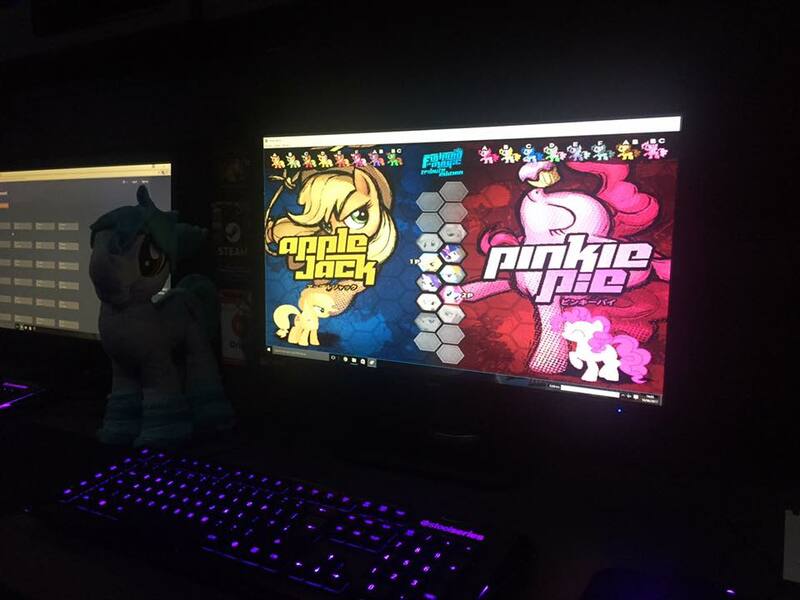 We had a great time doing the Fighting is Magic gaming tournament at [ALT], and while we won't be doing it every month, we are going to continue to think of fun ways to include gaming and My Little Pony in our outings to the [ALT] bar. 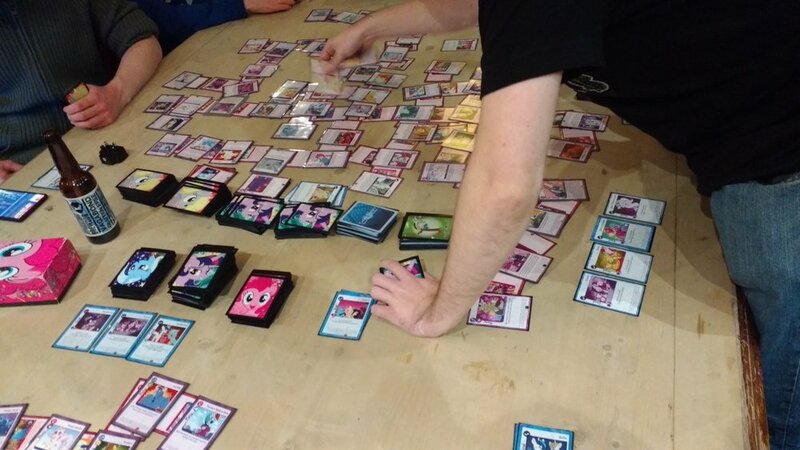 Perhaps with another fighting is magic tournament, but we may also look into organising an event to play Legends of Equestria or other fan created pony games. 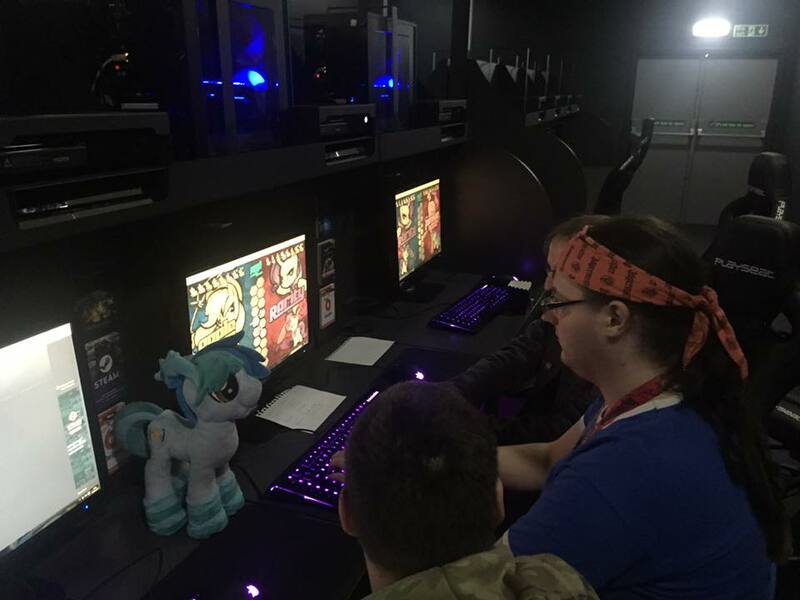 Provided, of course, that [ALT] are happy for us to put it on their computers. 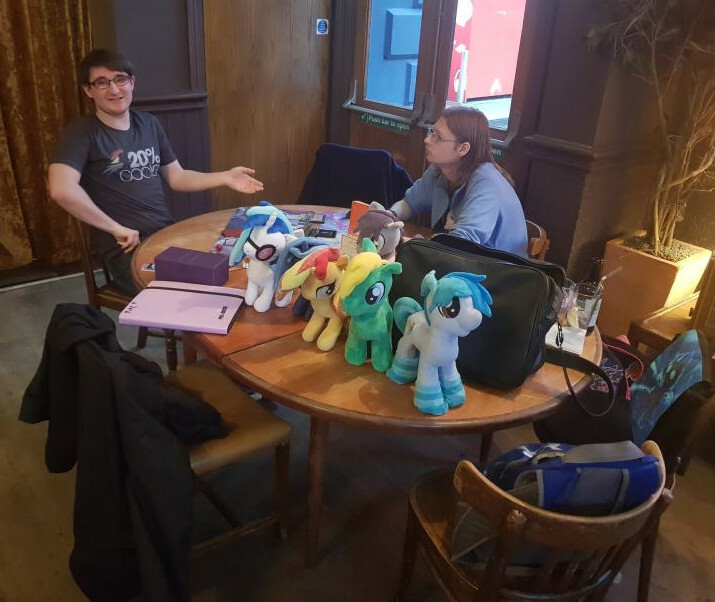 The next meetup we are aiming to organise a picnic at the Arboretum Park, near the University of Nottingham campus. 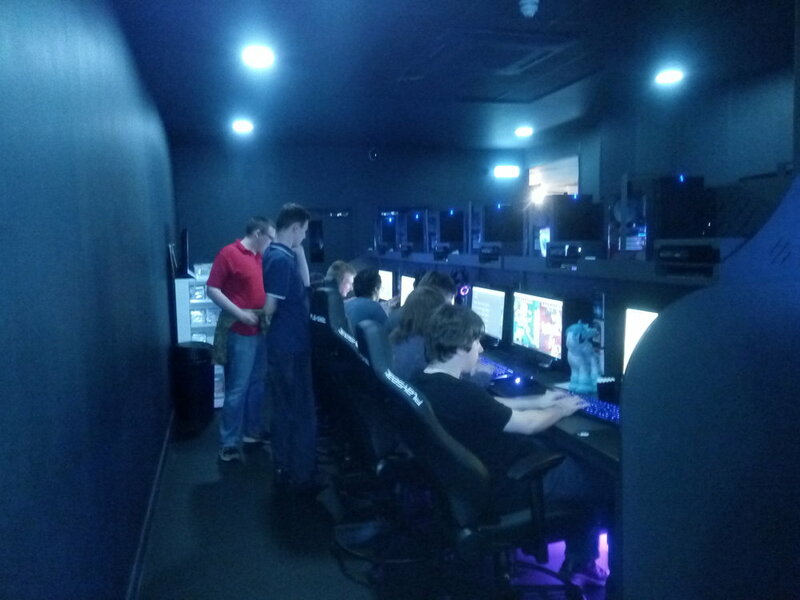 This is, of course, weather permitting. 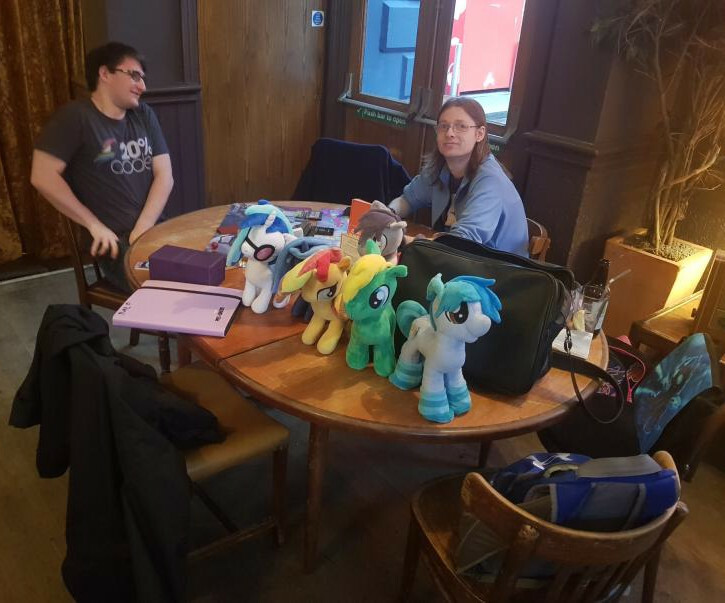 Please note that for the picnic, food would have to be brought along (or bought in town) as we wouldn't be providing it. 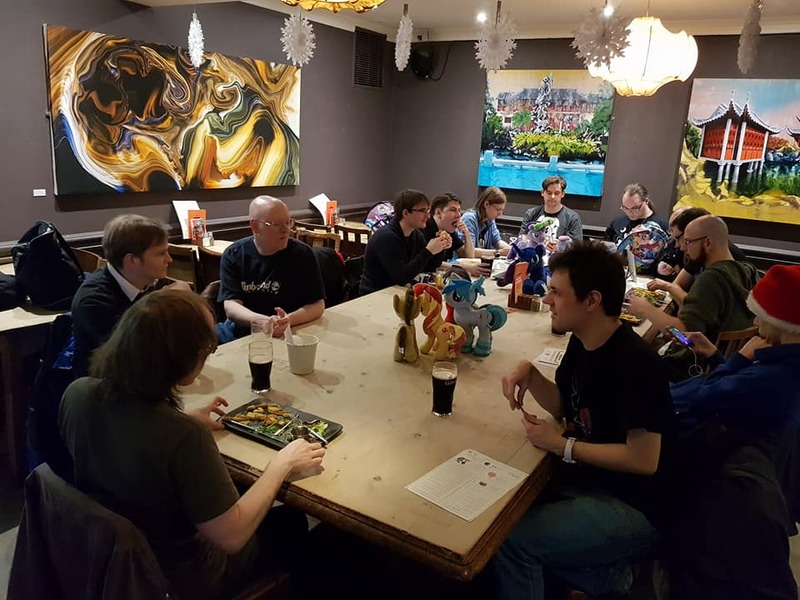 If you want to bring along any cakes or sweet treats to share though, you are more than welcome to! 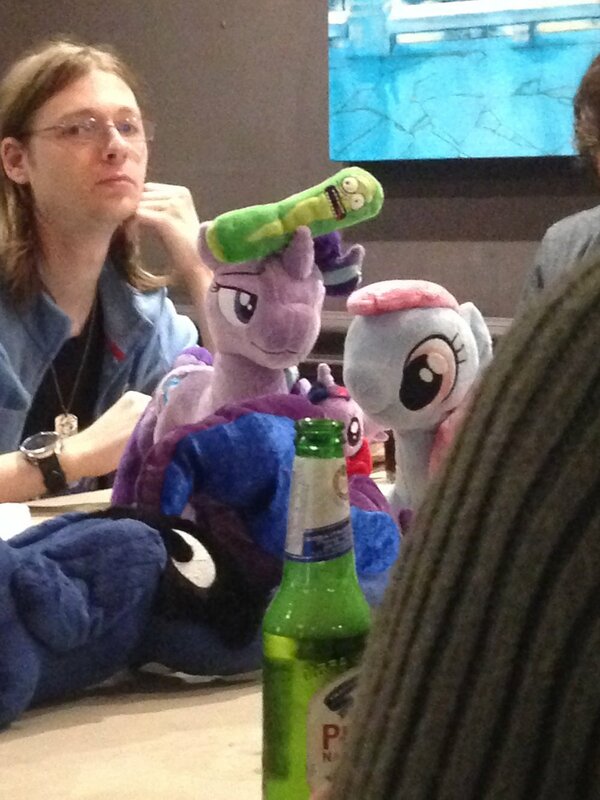 For now though, Trottingham Bronies - Signing off!